I tried to load the new clothes for Aiko3 into DAZStudio3. Then, the shoulders of the pullover warped badly. I have noticed that a new parameter of Poser9 is a cause. 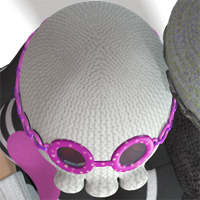 It is difficult to make the clothes for Poser6 by Poser9 after all. Now, where does DAZStudio4 display the full body morphs of Aiko3? 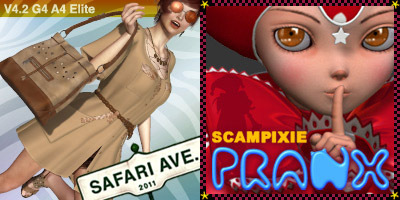 Apparently, DAZStudio4 stopped reading “ValueParm” from the Poser contents. I tried to rewrite “ValueParm” in the CR2 file by “targetGeom”. Then, Full body morphs were displayed. But they of the clothes which Aiko3 wore became a nullity. I thought — anyway the old type clothes are not good at DAZStudio4. Well, Aiko3 is an old type figure. I decided to use the old descriptions. But, the CR2 files of Poser9 have already some new parameters. I should check them by Poser6 after all. I expect that my old Vista still works. 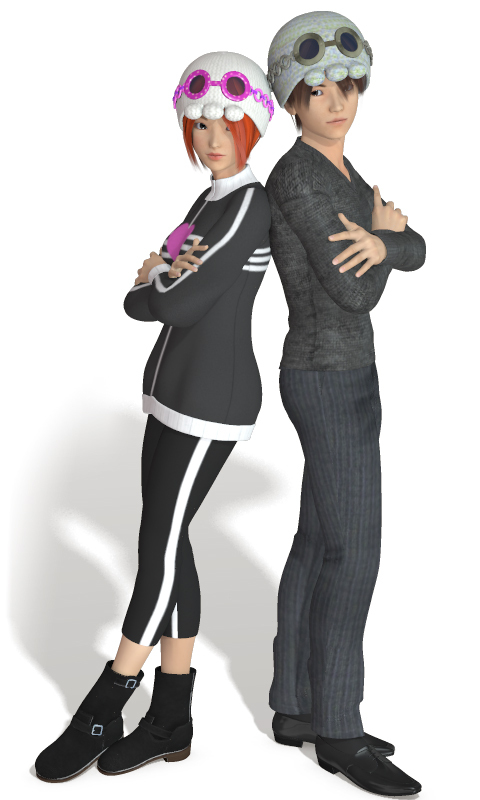 Poses: You’n’Me A3H3 by A_ at Renderosity — Sorry, this lovely product is not sold any longer. i don´t know,sorry…but they look great!